A ruler's traditionally a straightforward thing, but that doesn't mean it has to be boring. These pretty pieces from Monkey Business give you a measuring edge when you need it, and a city skyline stencil when you're feeling playful. 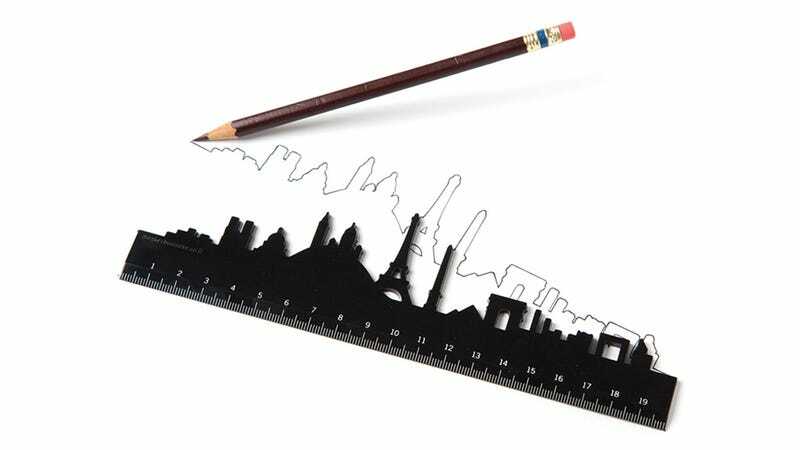 The Skyline Ruler is available in seven cityscapes: London, Paris, NYC, Berlin, Amsterdam, Toronto, and Jerusalem. Each $9 plastic piece has a full 20cm ruler on the bottom edge (yes, even the NYC ruler is in metric).